I have a long background in Management and Engineering, managing projects to a value of £1.5 million. I have experience of light aviation and aeronautical engineering, and have been involved with leisure craft for 20 years. Apart from marine subjects, I have studied aeronautics, electronic engineering, communication systems and computer / microprocessor systems and software. 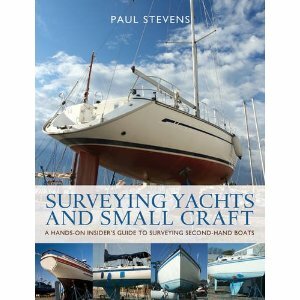 I have graduated from the Lowestoft based International Boatbuilding Training College's Yacht and Small Craft Survey Course, the countries leading course devoted to yacht and motor / power boat surveying and surveyors. I graduated with distinction. I'm a proud full member of "British Marine Surveyors Europe "BMSE", an association only open to those surveyors who qualify via the International Boatbuilding Training College (IBTC), Lowestoft. This motor boat steering linkage on this small shaft drive motor boat was located far from view. Upon inspection, it was found to be very insecure, with the main pivot pin close to falling out! - this would render the steering inoperative and pose a real threat to the vessel. The cost to rectify this fault would be less than £1, the cost of a survey not noting the fault - so much higher! The anodes of this yacht where found completely wasted. 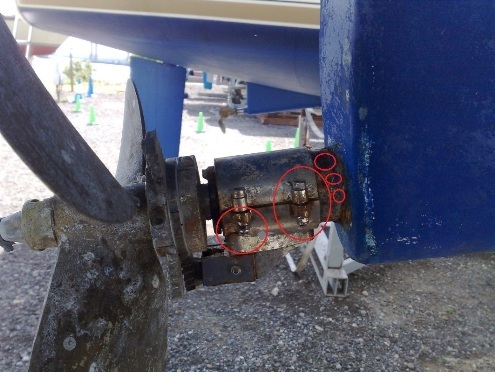 This resulted in corrosion to the rope cutter gear and stern tube fairing. 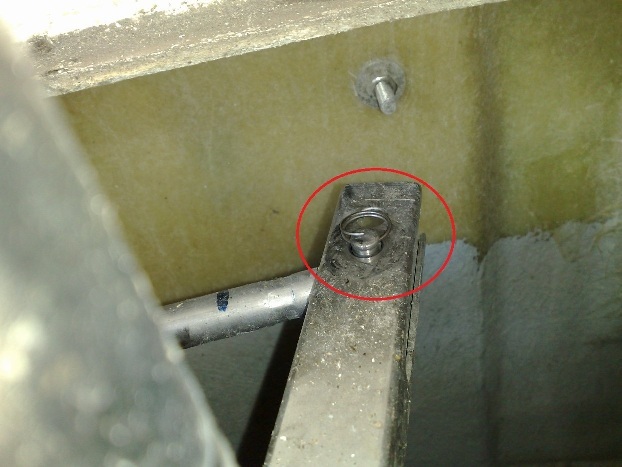 Luckily, only the mounting bolts for the rope cutter needed to be changed in this case! The rest was purely cosmetic. Remember, Anodes are needed in salt and fresh water! So, Zinc anodes for the South Coast and East Coast, Magnesium or Aluminum anodes for the River Thames, Canals and Inland Waterways! If in doubt, check with your local boatyard or give me a call!